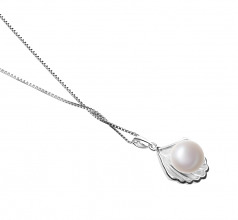 Simply elegant and charming, the 7-8mm White Button Shaped Freshwater Pearl sits delicately within the silver seashell. Calling silently within the sands of the ocean, this pendant shows your pearl off with the class and sophistication that your occasion desires. From casual to formal, your attire can be complete with the soft reflection and satin appearance of the White Freshwater pearl. The slightly out of round button-shaped pearl adds a unique and clarifying base to the overall appeal. 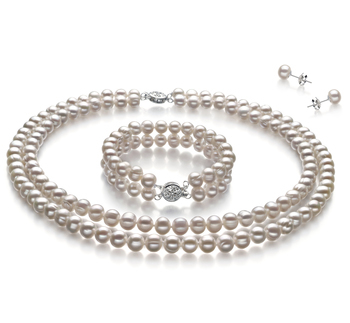 With each asset, shape, color, luster and more playing off each other, the pearl appears magnified and appealing. The silver pendant measures a graceful “.7 x .55”. The sparkling effect of the silver pendant’s bed allows the quality of the pearl to shine through creating the perfect necklace for any evening wear. 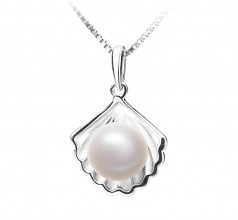 Take pride in the AA grade of the 7-8mm White Freshwater Pearl and Silver Pendant each time your wear it. Show only for "Shell Pendant"